We've all been in that situation where your wardrobe is overflowing with clothes, but you just 'don't have anything to wear'. 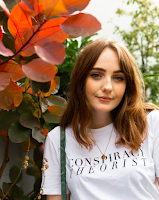 Of course you do, but it just doesn't feel like it, so depending on your budget (and how desperate you are), you can either do a huge high street haul, customise some old clothes or buy one trend piece to update your wardrobe. I was in this situation the other day, and with not a lot of money to spend and no creative inspiration to customise, I headed out to the shops in search of some 2017 trends. 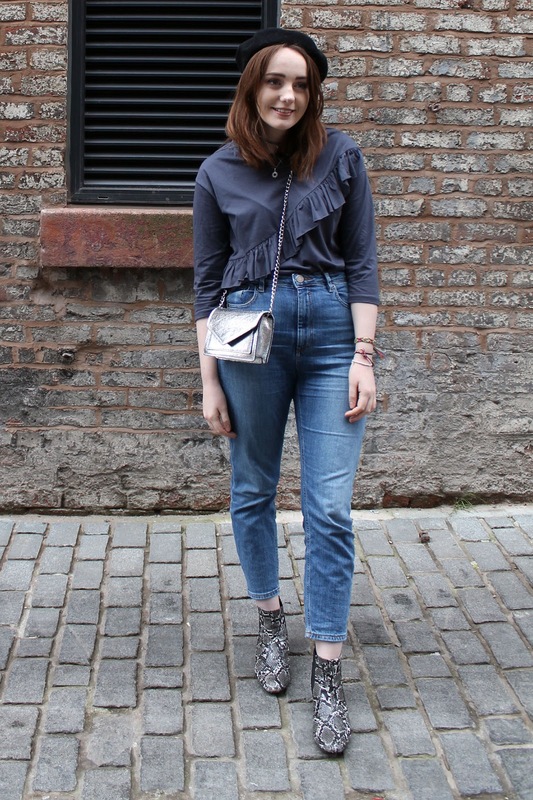 A trend that has been getting bigger and bigger over the past few months is ruffles and frills. 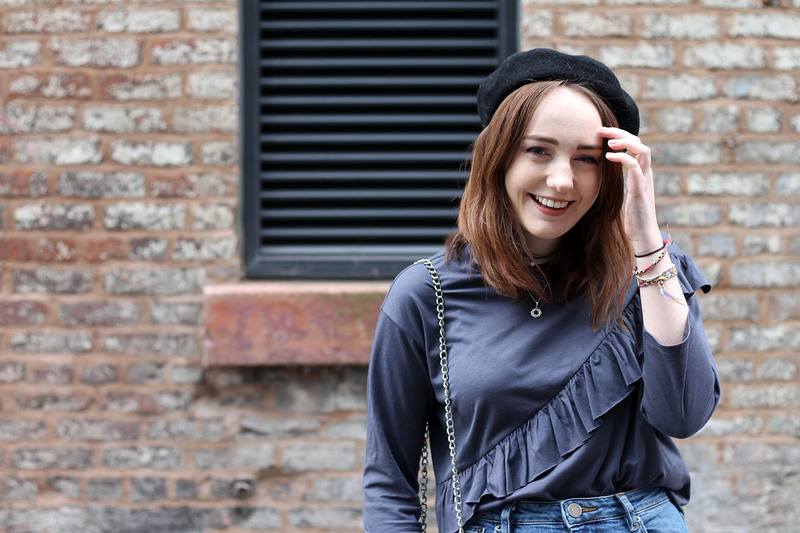 At first, I wasn't sure if I was a fan of the ruffle trend, but when I stumbled across this ruffle top for just £5 in New Look, I couldn't resist. 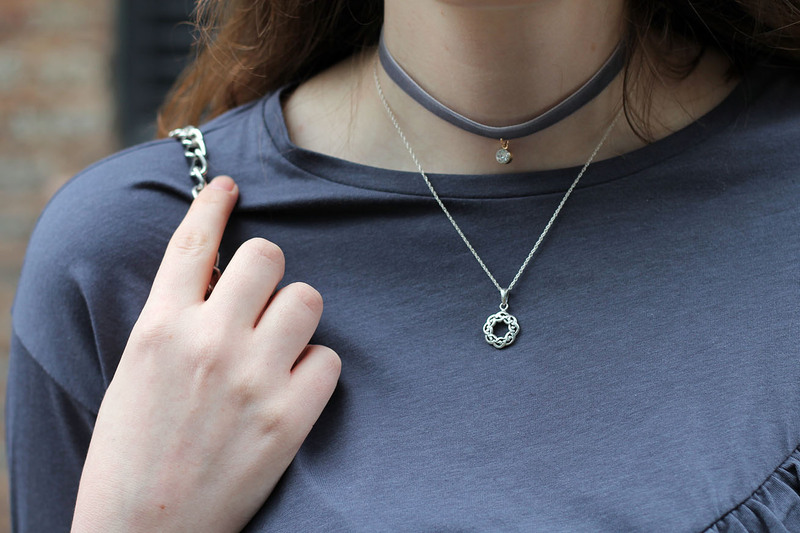 I'm totally against picking up trend pieces then binning them when you're bored and you've moved onto the next trend, which is why I try to think of how I can wear something before I buy it. If I can't pair something new with at least 5 different outfits, I won't buy it. Most of the time. This little ruffle top on the other hand, it's soft, easy to wear and will last me through the winter and into spring/summer 2017. It might even be a good top to pack for my trip to America later this year? Right now, I'm pairing this frilly top with my beloved ASOS farleigh jeans and snake print boots, with the Topshop coat I'm still obsessing over. Funnily enough, all of these feature in my latest video, February fashion faves. Make sure to take a look at my Youtube channel if you haven't already! I'm definitely glad I went out in search of a quick wardrobe update, even if I don't do it that often. And since then, I've even started sprucing up an old pair of jeans, so stay tuned for a DIY post coming soon. 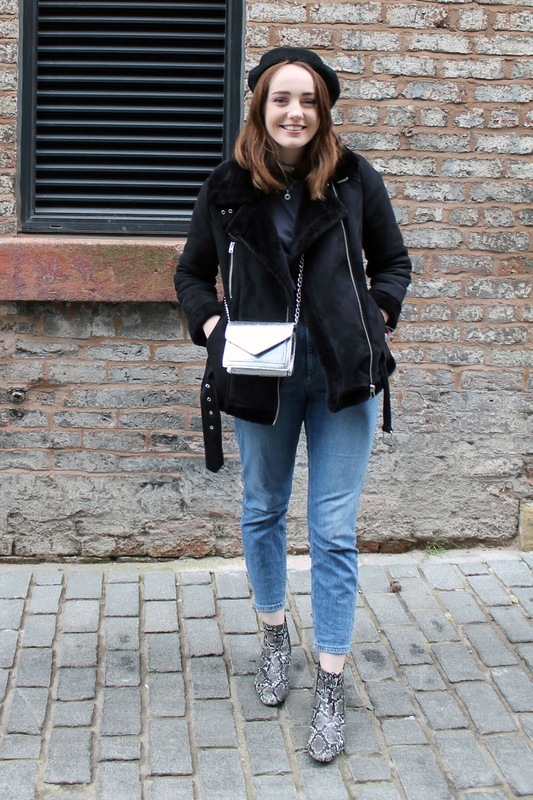 You can click the follow tie-dye-eyes on Bloglovin' to see the post as soon as it goes up. 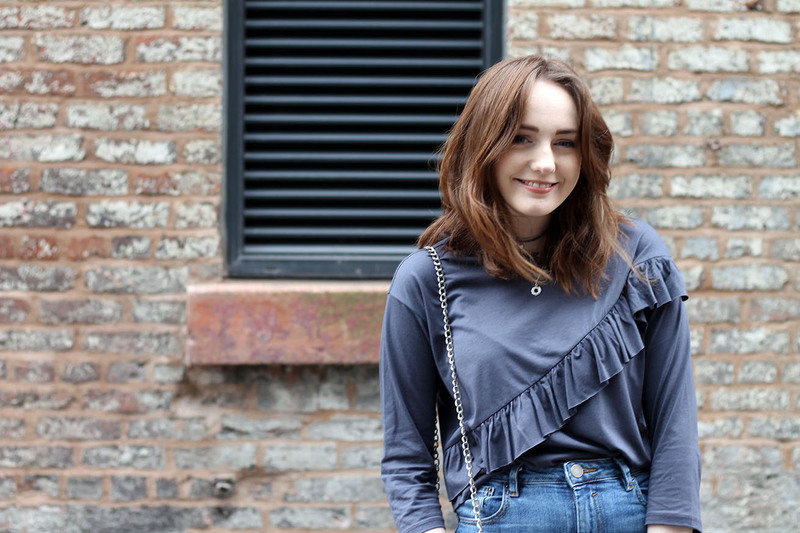 Also check out New Look for more ruffle tops if you want to hop on this trend, they have so many pretty tops in at the moment!